Anxiety, for me, usually starts with a familiar feeling of dread. Some people may notice that their heart begins to beat faster. And then you feel as if you can’t breathe. I know these signs all too well. It’s not always easy to “go to my happy place” but I have learned to remember the breathing techniques that help me get through critical periods of dread. Sometimes, despite my best effort, it doesn’t work and I like many others deal with anxiety attacks. After it subsides, most people feel better but wonder if there was something they could have done to stop it from happening. By this time you are exhausted, so you decide to let anxiety have that small victory. But I and the many brave people who battle this condition know that we will live to fight another day. For the past 8 years, I have struggled with anxiety. However, this is not necessarily a bad thing. I want to bring awareness to anxiety and I want people who may be going through the same things I am going through to know that it does get better. It’s important to recognize and understand that people who struggle with anxiety can’t just turn it off. It’s not like a switch, if it was that easy, nobody would struggle with it. It isn’t easy to deal with anxiety, and perhaps that’s why people who don’t struggle with anxiety don’t fully know how to interact with those of us who do. Sometimes, it’s hard to know exactly why it was brought on or even what is even bothering us to start with, so we really understand, really, we get it. 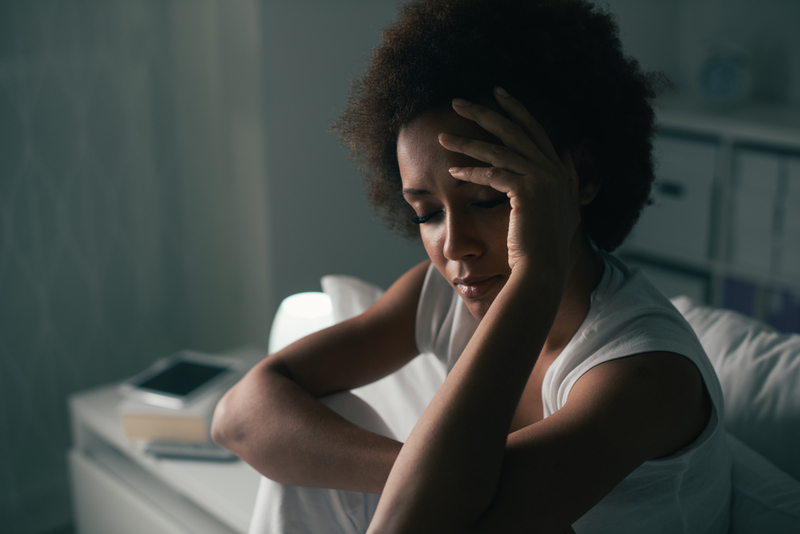 The American Psychiatric Association defines anxiety as a disorder that involves persistent and excessive worry that interferes with daily activities. This ongoing worry and tension may be accompanied by physical symptoms, such as restlessness, feeling on edge or easily fatigued, difficulty concentrating, muscle tension or problems sleeping. Often our worries focus on everyday things like job responsibilities, family health or minor matters such as chores, or car repairs. As a coping mechanism, some of us will avoid or try to escape particular behaviors that may cause anxiety. According to a 2013 Psychology Today article, avoidance makes anxiety snowball. It’s been important for me to find ways to cope with uncomfortable feelings. Helping someone break free is helpful because it’s sometimes hard to recognize when avoidance behaviors are weighing me down. It’s easy to judge the things we are unfamiliar with or do not understand. I don’t want special treatment from friends, co-workers or family. Those who deal with various levels of anxiety don’t choose this. There are days where I feel defeated and there are days where I feel like I have and will conquer the world. It’s always been important for me to surround myself with people who will support me and be patient when I’m struggling, and I suggest others do the same. There is no stigma when you’re transparent about your struggles and you seek help and support from those closest to you. Sounds easy, but it’s not. Life is busy and things move fast and we all struggle to put down our devices and living in the moment can be tough. But when someone you love may be in the grips of anxiety, being physically present for them can really help them work through the situation. Knowing that I have support to talk through my feelings has been very important to my ability to cope and raise a family. Help from others is always great but remember you need to be able to help yourself. Focus on the things that make you happy, and fill your life with those things. So when anxiety pops up again, remember those things that make you happy. Take the time to explore what makes you happy, especially if you read this and have trouble listing the things that make you happy. Also, please, talk to someone. Use our Find A Doctor tool to help you find resources and professional to speak to if you feel like you are spiraling. Finding someone you trust to talk to can really help you sort things out. Finally, always remember that you are worth it. Hold your head high, breathe the air deeply and stand firmly on the ground beneath your feet. The world is yours and now is the time for living. With all of your being. Live fully without regrets! Delois Prince has worked at Blue Cross NC for more than five years and currently works as a PPC, Quality Management professional. She is a leader of the company's Toast Master public speaking club and enjoys competing in public speaking contests.